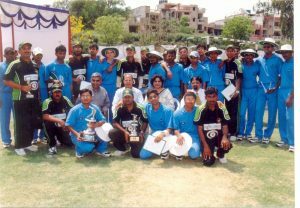 George Abraham with visually challenged cricket players. He suffered from meningitis and became visually impaired when he was only 10 months old. 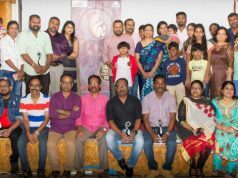 Yet, fighting insurmountable odds, George Abraham is today not only living a successful and wholesome life himself, but is also working tirelessly to bring hope to the lives of other visually-impaired people. After a successful career with India’s top advertising firms Ogilvy & Mather and Advertising & Sales Promotion Company for nearly 10 years, he is now a social entrepreneur, an inspirational speaker and a communicator. 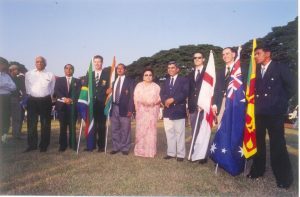 Not only did he work towards changing the popular perception about the visually impaired, but as the Founding Chairman of the World Blind Cricket Council, he also conceived and organised the first World Cup for the Blind in 1998 to not just encourage them to have self-belief but to give wings to their dreams. George’s life has meaning because his parents refused to see his disability as being bigger than his capabilities. They made a conscious decision to send him to a regular school instead of a special one for blind children so that he could get to know the hard realities of living with blindness in a world of people blessed with vision. “People suffering from blindness are regarded as ‘pathetic’ by a society with a skewed vision; they are most often denied basic opportunities. Their whole persona is just seen in the light of their blindness and no one even bothers to see them or their potential beyond their disability,” George told IANS. Every fifth blind person in the world is an Indian and 25,000 new cases are added to this population annually. George gives the whole credit for what he is to his parents and God. George’s father M.G. Abraham was an engineer and architect, and his mother Sushila Abraham was a homemaker. “Usually, it is not only society which is indifferent towards the blind, but their families too view them as a burden. I was lucky enough to be born to parents who never saw my vision loss as a disability or something that can hamper my journey towards having a successful career and a wholesome life,” he said. George was quite content with this job, but visiting a school for the blind for the first time in his life in 1988, along with his wife Rupa, proved to a shock. He was shaken to the core by the miserable conditions of the blind people living there and the treatment they were given. “They were instilled with a mindset of being worthless to society,” he recalls. A visit to the National Institute for the Visually Handicapped, Dehradun, was another turning point in George’s life. Coming across blind boys playing cricket with great passion, his long-forgotten dream got a fresh lease of life. They used balls that rattled. George, who grew up dreaming of becoming a fast bowler, decided — at that very moment — to organise a national cricket tournament for the blind. 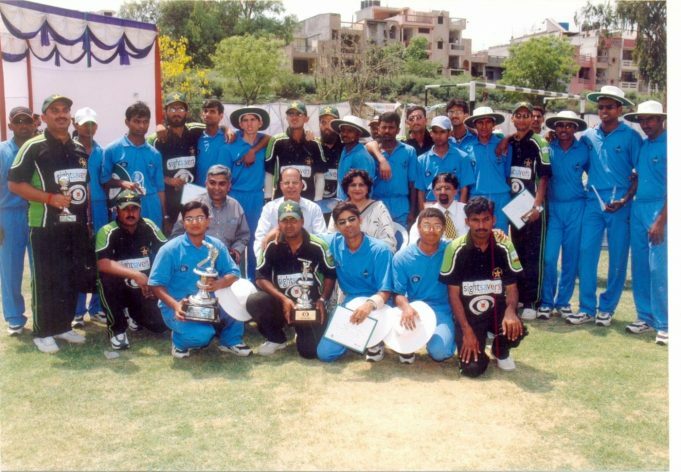 Soon he organised the first national cricket tournament for the blind in December 1990. This became an annual feature. In 1996, he set up the World Blind Cricket Council and was its Founding Chairman. In 1998, he conceived and organised the first ever World Cup in New Delhi. 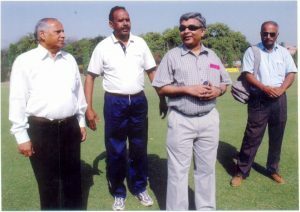 George Abraham with officials from cricket. In 2007-08, he handed over the cricket for the blind to a younger group of people. The national tournaments continue, the World Cup continues to happen and a new T-20 World championship too has been launched. India won the World Cup in 2014 when it was organised in South Africa and followed it up by winning it again in 2018 — the event was held between January 8 and 20 in Pakistan and the UAE — by beating Pakistan by two wickets. This caught the imagination of the country. Cash awards were given to the players. The 2014 cup-winning captain Shekhar Naik was recognised and given the Padma Shri. George is delighted to see the heights to which the movement has risen. Something that had begun as a tiny idea that he had dreamt of. “Blindness is not the real problem, it is the mindset of the society and the blind people themselves who are made to believe that they cannot lead normal lives,” says George. He knows that changing this mindset is an uphill task, but he is committed to do so. He set up Score Foundation and Project Eyeway to change the mindset associated with the potential and capabilities of the visually impaired. He then conceived a radio programme “Yeh Hai Roshni Ka Karwan” which broadcast success stories of people who fought every hurdle that came in their way due to their blindness and succeeded to achieve their dream. The programme spoke about people working in different areas like banks, the IT sector and in travel companies. The idea was to use radio to share knowledge and information that was informative, inspirational and empowering. Eyeway is a one-stop knowledge resource on living life with blindness — it disseminates knowledge, counsels and takes up advocacy. Using television as a medium to share the message of his mission, he also produced a TV programme “Nazar ya Nazariya”. 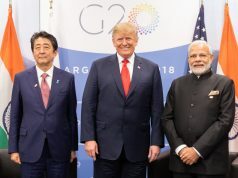 The actor Naseeruddin Shah — who himself played a blind teacher in the film “Sparsh” — introduced and closed each of the 13 episodes. TV actor Harsh Chhaya anchored the episodes. It featured 32 successful case studies from across India. The serial endeavoured to communicate the potential and possibilities in a life with blindness and to raise the burning question in the programme’s title: Is the problem with nazar (sight) or nazariya (viewpoint)? He remains determined to change the existing “nazariya” and create an inclusive society where people don’t separate “them” from “us”.